I don’t know what else to call it. We’ve been calling it “mental illness” for so long now. And we almost called it death, more than once. My brother Scott’s chronic and severe mental illness has nearly killed him multiple times now. 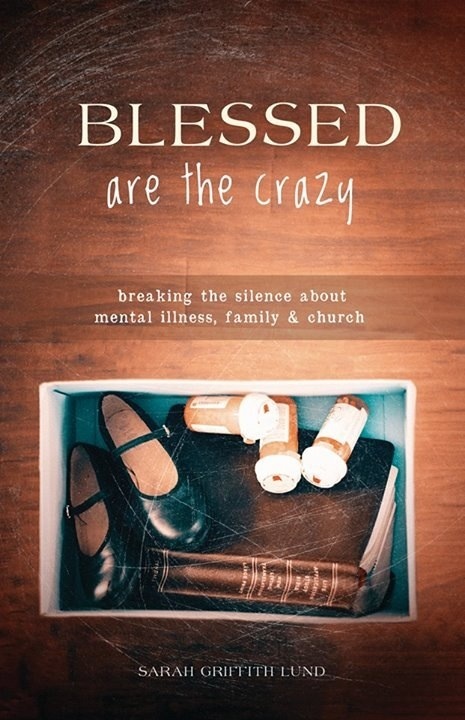 I’ve documented my family’s struggle with mental illness in my book Blessed are the Crazy. Earlier this month I was sure he was dead. Late at night he told me he wanted to die. He said that we were the ones keeping him alive. It was our fault for loving him so much. So he promised us he would live another day. But when we called, sent text messages and left voice mail the next morning he did not respond. I was sure he was dead. I knew it was my fault. I didn’t call 911 the night before when he was so suicidal. He said he had no hope of a better future. He said he just kept getting worse year after year. He just wanted the mental pain, real and unrelenting, to end. As I said goodnight to my brother I promised to call him in the morning. And he promised he would be there to pick up the phone. But this time he wasn’t. I began thinking about my brother’s funeral arrangements. As the family minister I worried that it would be up to me to bury my brother, me wearing the long black robe, saying the prayers and covering the grave with handfuls of dirt wet with tears. Frantic to know if Scott was dead, I called my sister-in-law and asked her to go to his apartment. She would be the one to find him. Alive. And showered…his reason for not responding to our calls and text messages all morning long. He was in the shower. My brother did not die that day. Exhaling fear and inhaling hope, I asked him what he planned to do. He said he was going to check into the psychiatric treatment inpatient program in Jacksonville. It’s a facility he’s been in before and the food was decent and they let him have smoke breaks. Scott drove himself to this place, wanting to die and wanting to live at the same time. Who could blame him? I asked him to text me when he got to the treatment center. About nine o’clock at night I got a text that he had to pullover on the side of the road half way there to sleep, his body too exhausted to continue. Would he even make it there alive? There were so many times when my brother almost died that we’ve grieved in anticipation of his life tragically ending. Despite all the treatment of new drugs, therapy, electroconvulsive shock therapy, and prayer, his bipolar disorder truly disabled him. He could not find anything that worked. We all began to think he would live with chronic mental pain until his last breath. When Scott had finally communicated so clearly to me why death was the only way for him to find relief, during his stay in Jacksonville, he experienced a breakthrough in his treatment–a new cocktail of medications. It is a new medication combination that in the past month has provided incredible relief to him from his mental pain and suffering. For the first time in over a decade, Scott reports experiencing feelings of wellness. Today I hardly recognize my brother. Yet, if I stretch back far enough in my memory I start to see the resemblances. The witty sense of humor, the teasing big brother, the love of adventure. That’s who Scott is and he’s coming back to us. We thought we had lost him forever. In every sense of the word, my brother’s mind has been resurrected. His mind was once locked in a dark lonely tomb, behind a cold stone blocking any hope of light. Depression is a tomb. Mental illness is a betrayal and crucifixion. I am one of the women standing at the empty tomb. His mind has been raised from the dead. The stone is rolled away. He lives. My brother lives. As I chatted with the church ushers in the sanctuary while they handed out bulletins before worship, we joked that I’d keep my eyes on them to get the signal for when to stop preaching. A gentleman in his eighties smiled and said, “please don’t babble on because then we start squirming in our seats.” As a guest preacher, they didn’t know me and I didn’t know them. I smiled and promised to keep my message on point. The main point of my visit to this particular church was to open conversations about mental illness, family and church, based on my first book Blessed are the Crazy. I’ve learned that when I openly share my story about how my family is impacted by mental illness, it gives other people permission to start to share their stories. Churches are hosting these conversations in sanctuaries and fellowship halls across the country, often partnering with local mental healthcare providers. On this Sunday in Lent, a time of reflection about the meaning of the cross of Christ, my sermon invited people to “leave shame, stigma and silence at the foot of the cross.” I shared that for too long I carried my shame and its heavy burden crushed my spirit. What freedom and relief my spirit knew when I let go, giving to God that which I could not save. After worship I stood in the back of the sanctuary by the exit. I felt vulnerable preaching as I did, saying the things from my heart. Yet it must have been God’s Spirit ministering through me. The usher came up to me in tears, hugging me and said, “I could have listened to you for three more hours.” I looked into his eyes and our tears were a communion in themselves. My father, whose own death was caused by severe and untreated mental illness, shed tears often when we were together towards the end of his life. He didn’t have the words to say all the things he wanted to say about the pain of a family torn apart, about the missing decades of togetherness, but his tears spoke of his human brokenness and desire for wholeness. In the cross of Christ we see both the brokenness of this world and the promise of wholeness. In my journey through the valley of the shadow of mental illness, I know that it is there at the intersection of suffering and healing that we can experience real saving grace. In that tearful moment of recognition, the face of Christ is revealed to us.